The concert with Pro Coro artistic director, Mark Bailey, finished this afternoon and I'm still buzzing from the experience. As I did with Magen Solomon, I will reserve my thoughts about Bailey specifically until I have finished performing with the final candidate, Michael Zaugg in November. However, I will remark about the concert itself. The concert was structured around "musical dialogues." Musical dialogues between the different choir formations, the men and the women, the choir and the instrumentalists, and between the choir and soloists. The cohesive structure of the concert program made a lot of sense to me and the concert moved chronologically from early music works by Gesauldo to Bach, Brahms, Rachmaninoff, and finally, the Evening Liturgy chants which were arranged last year by the late Maia Aprahamian. The Gesauldo was done in an interesting arrangement since the choir was divided into three smaller ensembles to perform each of the motets. As well, the different groups were situated in different spots around the church. In my own Gesauldo group, we had a bit of a shaky start since there was some trouble with settling the initial chords. However, once we settled into the new (albeit lower) key, things seemed to move smoothly enough. My brain was trying to adjust to the new tonality so I wasn't able to employ as many musical nuances but I'm just glad it held together. Bach's "Komm, Jesu, Komm" was lovely and was sung with musical sensitivity. Although it is a test piece and will be performed with each of the candidates, it felt new to me while preparing for this concert. Vedel's Choral Concerto no. 9 was opulent and powerful. I totally felt Ukrainian while singing it. I'm also glad to report I did not butcher my short solo duet section. It was kind of scary since there's a run in the section and my duet partner and I were never sure what speed would be established by the time the solo arrived. The second half of the concert started with some lovely Brahms quartets, the men sang a gorgeous Poulenc with a stunning baritone solo in the fourth movement. The Rachmininoff showcased the romantic and grand keyboard abilities of Jeremy Spurgeon. In a way, you almost don't even need the choir in these pieces because the piano portions are so gorgeous. By far the most magical moment occurred during the performance of the Evening Liturgy, which is a set of three chants, by Maia Aprahamian. Bailey explained to us his close relationship to Maia and that while she was working on this piece last year, she would often send him drafts to get his thoughts. She sent him the final version in March but passed away unexpectedly this past summer so her piece has never been sung and, furthermore, Bailey has the only copy. I remember when we ran it in rehearsal, I just thought that the chants were beautiful in their simplicity. Not to mention that they sat really well in my voice. 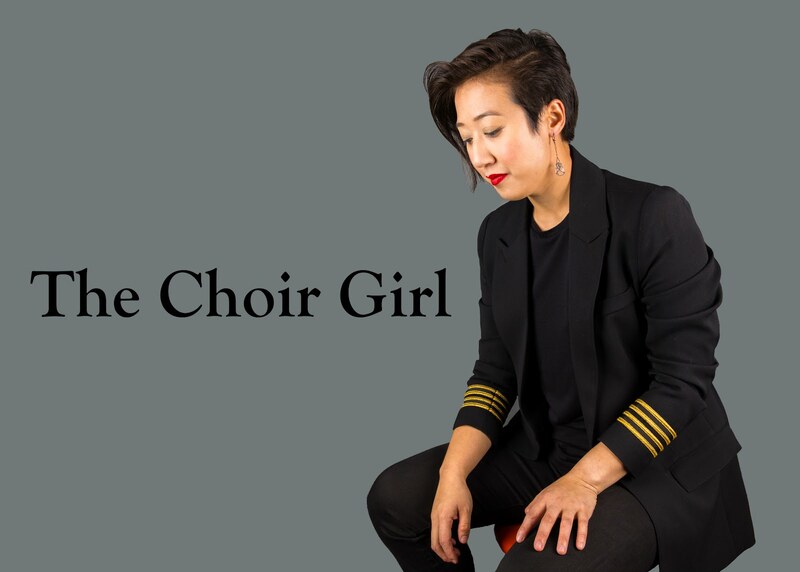 However, after we sang the second movement "Holy God" in the concert, Bailey took a break in the concert to pick up the microphone to explain that Maia's intent with this piece was to have it sung by the audience, like a congregation, and interact with the choir. Thus, the audience learned the melody by echoing Pro Coro's model and Bailey prepared to do the piece again. This time with the audience. This was completely unexpected. At no point during the rehearsal process did Bailey mention an audience participation component. However, as soon as I heard the audiences' voice join Pro Coro's... it was a transcendental moment. I rarely have moments like that when I'm singing... but today it felt like the music served as a medium to connect with Maia. As well, during the "Cherubic Hymn," which was the final movement, sunlight emerged from the corner window of the church and illuminated the church. It just felt like we were connecting in the most profound way with something that we couldn't see, but could sense, and it was an honour to be a part of the process. I think the audience would agree that there was something absolutely magical in the air during Maia's piece. Overall, I'll be buzzing from this performance for a while still! Musical highs are the best drug. It will be a few weeks now before the arrival of the last Pro Coro artistic candidate conductor, Michael Zaugg. I'm looking forward to it! I'm following your conductor audition concerts with facination and anticipation. What a great process in which to be taking part! I also love your thoughts on how different pieces work (or not!) for you. As a fellow choralist, I agree that we don't always get to do our 'favorite' pieces, styles, or genres, but if we keep open minds and hearts to the musicality of it, we can always find the beauty of the gift of music. I am excited to hear about the last audition concert, and what your resulting opinions are. Keep posting, choirgirl! This Atlanta girl is listening! Thank-you so much for your lovely comment! Having readers like you is why I continue to blog :) I agree with you completely of how important it is to have an open mind and heart to music because experiencing new things and going out of our comfort zone is how we grow as musicians.